Teaching kids to tell the time can be really difficult. I remember when Gemma was learning, and she kept asking why it was quarter past instead of 15 past. And we didn’t really have an answer for that one…. Jacob is pretty good at time telling now, but the 24 hour clock system can still throw him. In fairness, I still have to think about it myself sometimes! 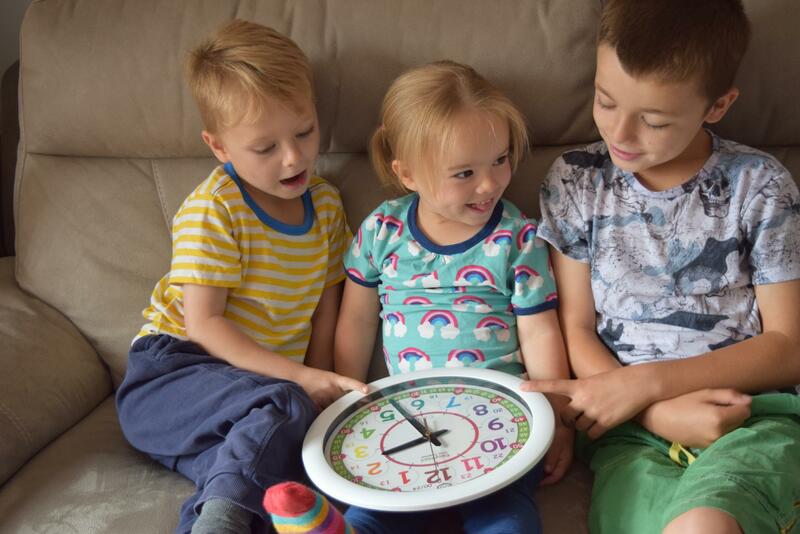 The EasyRead Time Teacher rainbow 24 hour clock is designed to help older children with the 24 hour clock, but is still useful for teaching younger children about a standard clock. It is supplied with a simple 2-step teaching system that helps children learn to tell the time in 12 and 24-hour format. Both the 12 and 24 hour numbers are displayed and the clock comes with detailed instructions on the 2-step teaching system. First, you simply explain to your child that the big numbers are the hours, and the small numbers are the minutes – exactly as you would with a standard clock face. Each number has the 12 hour option and the 24 hour option, so children can start to understand that the first ’round’ of the clock is 1-12, and the second round is 13-24. The outer ring then shows the digital numbers – so once your child has identified the hour, they can also work out the minutes. It really helps to cement their understanding of a.m and p.m too, which are probably terms they have heard thrown about, but not really understood what they meant – until now! 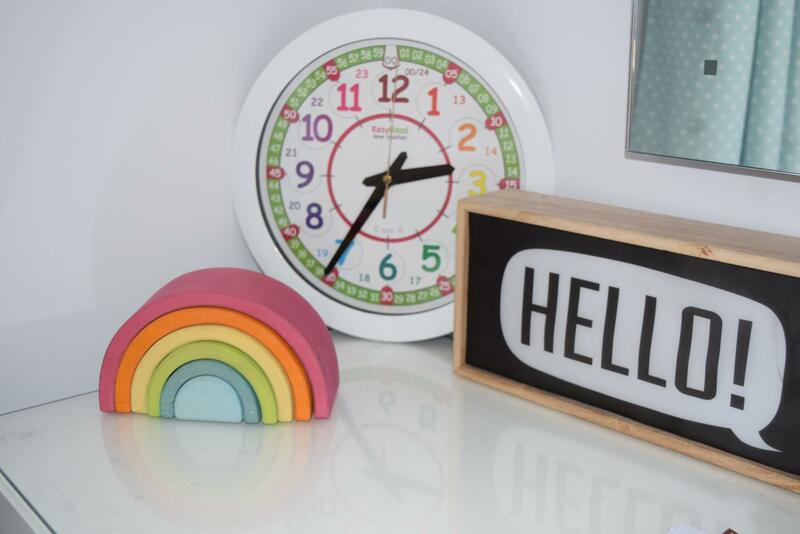 The EasyRead Time Teacher Rainbow 24 hour clock is silent, with no ticking, and features a ‘sweeping’ second hand, showing that time is constant and not stop start. The bright, rainbow design is suitable for all ages and genders, and looks good in any room. 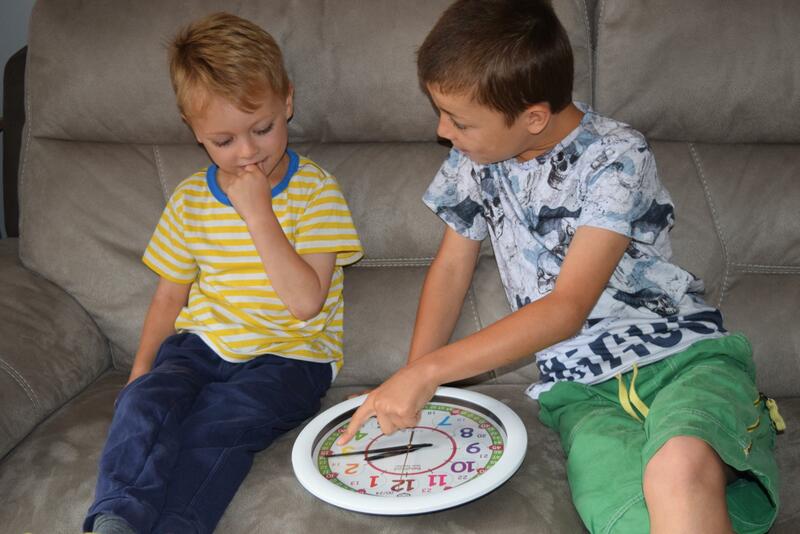 It really helps children understand the connection between analogue clocks and the digital clock, and sets them up for a better understanding of everyday things, such as travel timetables and alarm clocks. 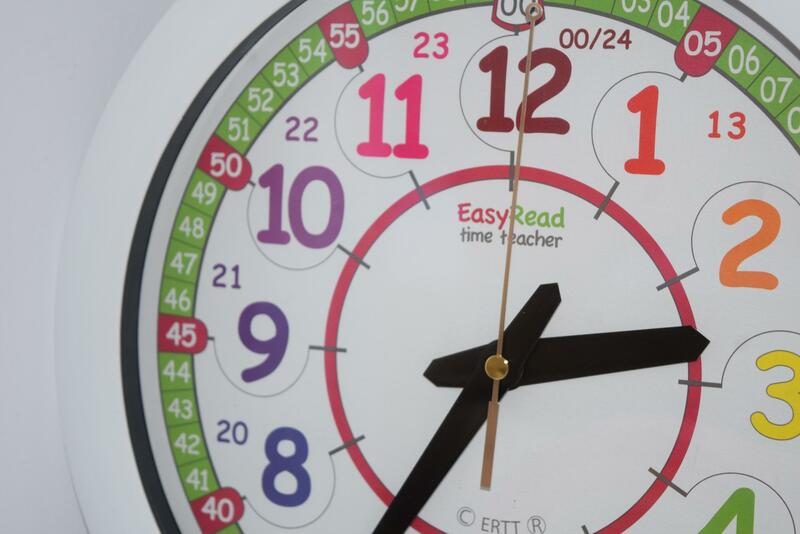 EasyRead Time Teacher have a wide range of time teaching products for all ages, from wall clocks and watches to alarm clocks and classroom resources, so it’s well worth a look. Telling the time is a real life skill, and one that can be hard to crack – so anything that gives children a helping hand is definitely a worthwhile investment in my eyes! This is gorgeous and would make a lovely addition to a child’s bedroom. I’m definitely going to check out the watches. Gosh there’s a lot of numbers on that clock! I like the idea of the minutes being so clearly displayed though. Kim Carberry recently posted…A Tesalate beach towel – Review! This looks fab – I used to have a watch a bit like this when I was little and it really helped me with the time. Toby is just starting to tell the time now, but the only proper clock we have at home has Roman numerals so something like this would be much better.